Mr. ShrinkWrap’s Crating and Packing service employs trained technicians experienced with wooden and flexible packaging methods. Our Teams are TWIC certified for access into any US Port where we deliver crating and shrink wrap for moving with quality and efficiency. Look to Mr. Shrinkwrap no matter what your needs are call today at 800-847-5290 or contact us online by sending us an inquiry on the form to the right. 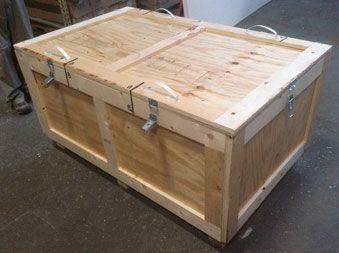 When shipping any wooden packaging material internationally,it is critical to make sure the crate meets international shipping standards. When these standards are not met, foreign authorities can fumigate or destroy your entire shipment without your permission. Mr. ShrinkWrap is certified to build and ship crates internationally. All of our lumber is heat treated and our warehouse undergoes monthly inspections to ensure all incoming and outgoing lumber has been documented accordingly. We have our o wn unique ISPM-15 mark also known as the “bug stamp”, which certifies that the crate meets ISPM 15 standards for international shipping. Look to Mr. Shrinkwrap no matter what your needs are call today at 800-847-5290 or contact us online by sending us an inquiry on the form to the right. We build boxes of nearly any size and shape, whether your shipment requires a moisuture barrier, corrosion prevention or special bracing for stability, Mr. Shrinkwrap has you covered with a full line of products in-house and a technical team that can quickly design and build to specification your shipping containers using specialized crate and skid building software. At Mr. ShrinkWrap, all factors are considered when designing your crate including dimensions, weight, fragility, value, and final destination. Depending on your contents needs, we will employ blocking, bracing, bolting , or steel strapping to properly secure your item for transport. We are a provider of various MIL-Spec crates and are capable meeting almost all government, military, and ASTM specifications. 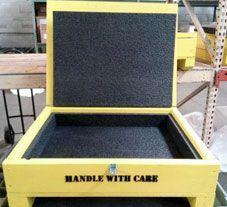 From securing to cushioning, we go to great lengths to ensure that your item is safe and secure during its journey. Mr. ShrinkWrap stocks a wide variety of foam sheeting, tie downs and hardware that allows us to tailor the inside of our wooden shipping boxes crates to properly protect your items. Based on the characteristics of your item, we can help you to select the proper thickness and density of polyethylene or polyurethane foam that will provide your item with optimal cushioning. 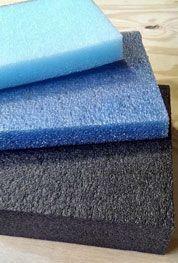 Custom foam shapes, liners and lay-ins are available as well. We also provide an array of solutions for items that are susceptible to corrosion or damage from exposure to moisture. Based on the size of the item and length of shipment, we install the proper amount of desiccant packets for moisture control and vapor corrosion inhibitors for corrosion control. Look to Mr. Shrinkwrap for all your moving shrink wrap needs, and give us a call today at 800-847-5290 or contact us online by sending us an inquiry on the form to the right.